This beautiful new home, situated in a peaceful neighborhood, offers a clear view of the quiet cove. It has a large private deck overlooking the water and an expansive, gently sloping yard. This two-story home has floor to ceiling windows in the great room and beautiful views in the kitchen and dining room. The luxurious kitchen has granite counter tops, porcelain tile floors, and a large center island perfect for entertaining. There are 2 beautifully decorated master bedrooms on the upper level. One is a King bedroom with a Sleep Number bed, full en-suite bath, with direct access to the expansive upper deck. The other bedroom on the upper level is a Queen bedroom with a full en-suite bath, and direct access to the covered porch. A half-bath is available for use in the Upper Great Room. The lower level has a 2nd great room with walkout to the patio, lake, and boathouse. Located on the lower level is a pool table, ping pong table, laundry room, two bedrooms, 2 full baths, and a bonus bunkroom. One LL bedroom has a king bed and en-suite bath also opening into the lower great room. The second LL bedroom has a queen over queen bunkbed with pull out twin trundle. A Jack & Jill full bath connects this queen bunk room to an undesignated room which has a twin over full bunkbed and a twin bed. Outdoor areas are easily accessible from the home and include an outdoor grill, picnic bench, fire ring, and porch swing. The concrete walkway from the lower level to the boathouse makes for easy access. The boathouse includes a bar area, refrigerator, and lounge chairs. Guests also have access to two kayaks. The water depth is plenty deep at the end of the dock for jumping off. Located on Lizard Creek, the views from inside and outside this beautiful home are breathtaking. 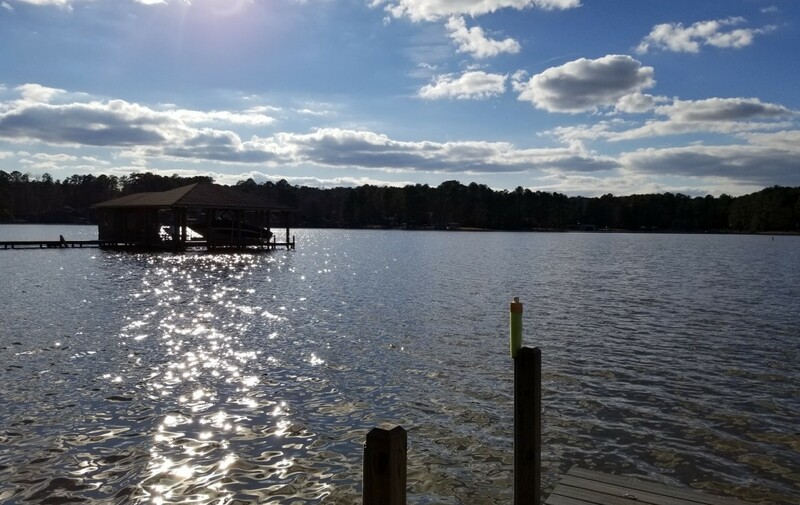 With an open floor plan, your family will have enough space to spread out and relax on your Lake Gaston Vacation. No Pets. No Smoking. July 4th Week is 3900/per week.